Part of Cumbria, the modern county founded in 1974 from Cumberland, Westmorland and parts of neighbouring Yorkshire and Lancashire, the Lake District has long been a favourite destination for its stunning landscapes, large lakes and soaring peaks. We take a look at some of the highlights from the area. At 10.5 miles long, England’s largest lake has been attracting visitors for centuries. Wealthy Victorian businessmen built huge villas on the shores that have since been converted into hotels, while steamer ships offer sedate perspectives on the surrounding fells. 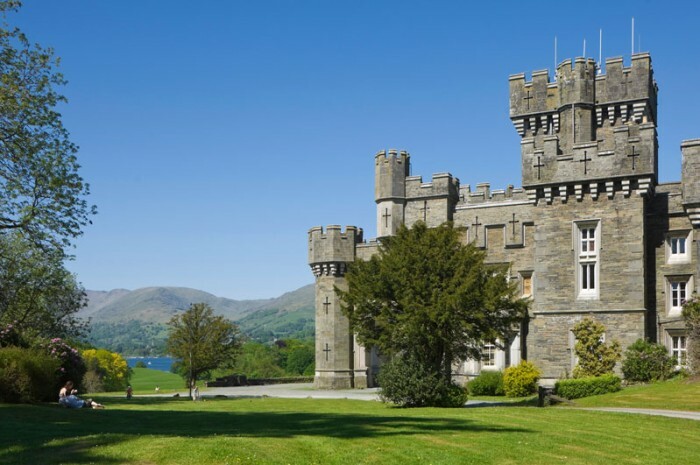 The National Trust-owned Wray Castle, a mock-Gothic castle on the shores of Lake Windermere with turrets and towers was a favourite holiday destination of Beatrix Potter. 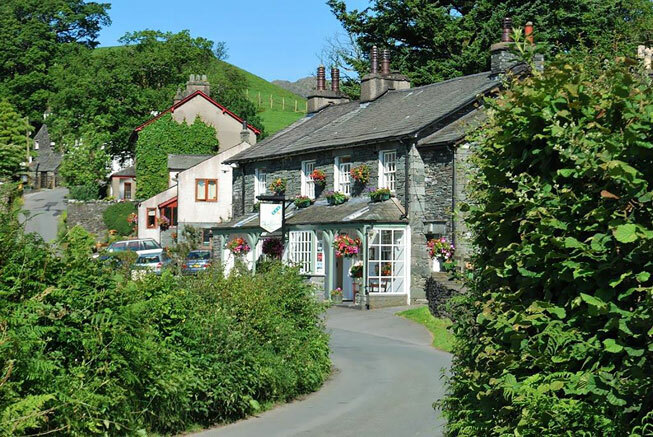 Named for its proximity to the border of three old county shires – Cumberland, Westmoreland and Lancashire – this 1872 slate-built inn feels wonderfully remote, while only being a couple of miles northwest of Coniston Water and Lake Windermere. 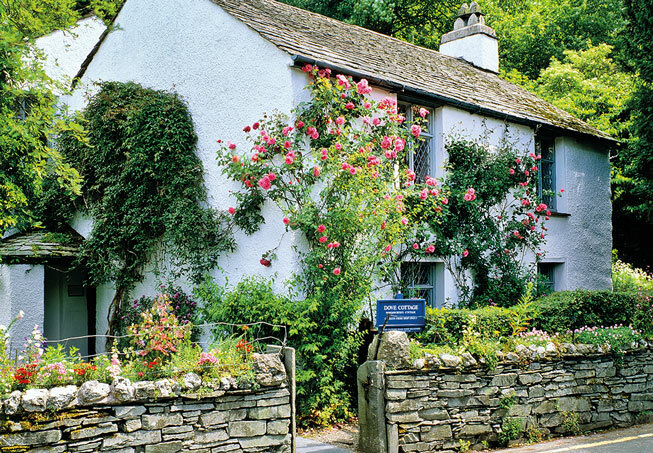 Between 1799 and 1808, the Romantic poet William Wordsworth lived at Dove Cottage with his family and either began or completed many of his most celebrated works here. Today visitors can wander lonely through the house and half-wild garden, or read from the poet’s letter and journals in the adjacent Wordsworth Museum. 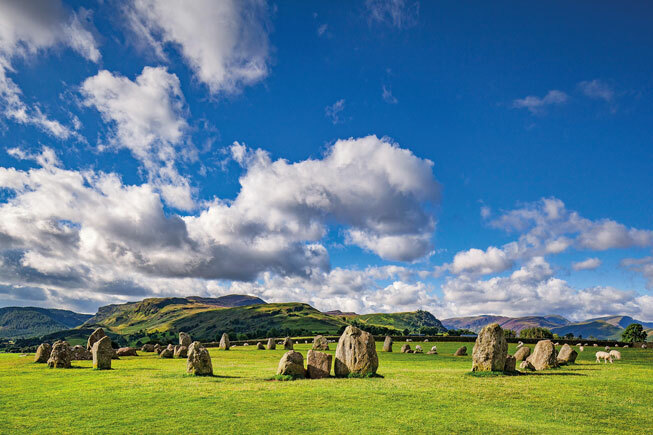 It may lack the fame and UNESCO recognition of Wiltshire’s Stonehenge, but when it comes to pure aesthetic appeal, Castlerigg is undoubtedly Britain’s most impressive stone circle. One of the oldest examples of British circles, Castlerigg dates back to the Neolithic era, and sits among the rolling hills of Skiddaw, Blencathra and Lonscale Fell, which provide a gorgeous backdrop. 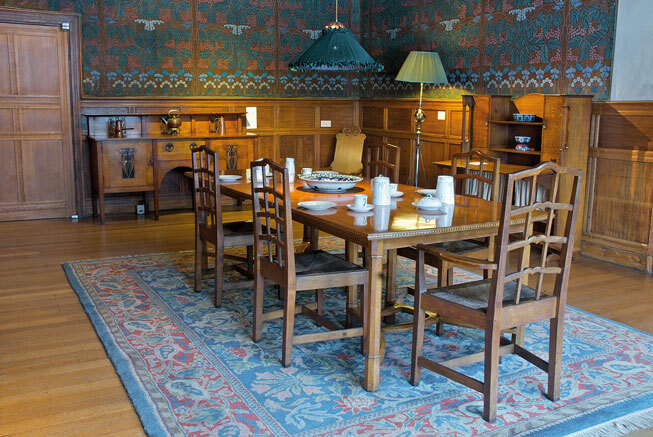 British architect MH Baillie Scott was only in his early 30s when, in 1898, he began work on Blackwell, a large Arts & Crafts-style holiday home for Sir Edward Holt, son of Mancunian brewer, Joseph Holt. Briefly serving as a school in the aftermath of the Second World War, by 2001 this historic house had been lovingly restored, Grade I listed and opened as a museum.